Working digitally has a number of benefits, one of the most important being that the colour, brightness and tonal values of the individual pixels that make up the image are recorded as soon as the image is taken. These values can be reviewed in two ways on the camera's LCD screen - firstly, as the image itself and secondly as a graphic tonal represenattion which is known as a histogram.Being able to interpret histogram will help you to assess whether or not your image has the acceptable tonal value that make for a well exposed shot. 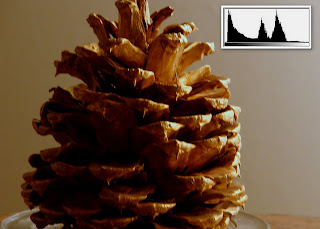 A histogram can normally be called up on the LCD screen on the back of your camera when shooting or playing back images. It is the form of graph where the x-axis (horizontal) represents the entire digital tonal range from black to white (0 - 255), while the y - axis (vertical) represents the number of pixels with a specific tonal value. The right side represents the maximum white values your camera can capture. 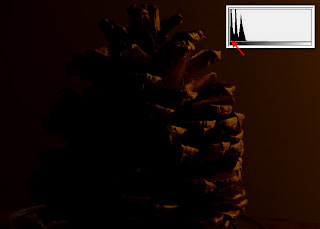 On either end of the histogram the light values contain no detail. They are either completely black, or completely white. 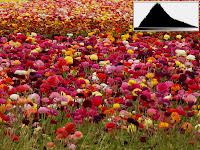 The top of the histogram (top of mountain peak) represents the number of different colors, a value you cannot control, so it is for your information only. We are mostly concerned with the left and right side values of the histogram, since we do have much control over those. 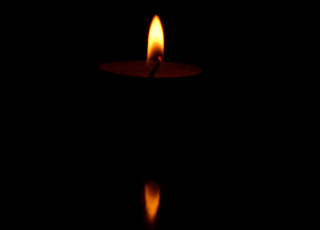 (Dark vs. Light). An ideally exposed image would generate a symmetrical,humped shape histogram that smoothes gently out to the black and white points at either end of the histogram. Below are some of the examples which will help you to understand Histogram. As it is obvious this picture is underexposed and you can see in the histogram on the right corner of the picture. The pixels are bunched up on the left side of the histogram and there are very few pixels on the right side. This picture can be corrected by increasing exposure. This is discussed in previous blogs. Same picture was taken with increased exposure and you can see in the histogram that pixels are spread more as compared to previous one and picture contains more detail. This picture is overexposed. There are very few pixels in the dark areas (left side) and the pixels on the white side (right side) are climbing up the right hand border. 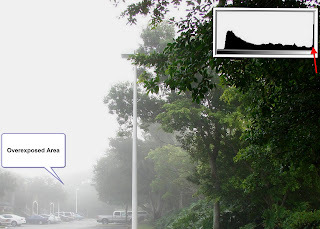 This picture can be corrected by decreasing exposure as discussed in previous blogs. 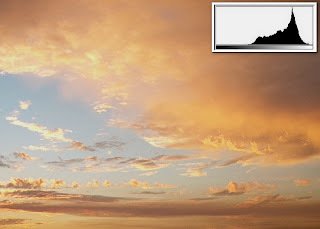 These pictures are correctly exposed as all the pixels falls within the histogram range.